Mechanical Engineering Jobs: There are Millions are Mechanical Engineers are passing out every year but compared to Engineers outcome the opportunities are very less.So there the engineers are difficult to find the right opportunity in Core Industry or Job related to their studies.Because of this many graduates are going for IT Jobs or BPO Jobs.So to help the Mechanical graduate we created this page.In this page, candidates can get Mechanical Engineering Job updates which currently available in the market (Both Private and Government organization updates). In Private Industry Tier-I Mechanical companies hiring the graduates only through On Campus and that is also in Premium Institutes like IIT, NIT etc.Other small organizations also filling their vacancies through referral.So its difficult to find the private jobs, so there are many consultancies are playing in graduates life by Job Scam.By this page, we try to list Mechanical Job vacancies for Engineering graduates and also Diploma graduates.In below we listed Mechanical Engineering Jobs for Freshers. 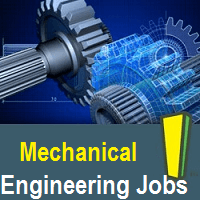 All candidates can subscribe this page to get Jobs for Mechanical Engineers.